Al’s Appliance Sales & Service is a family owned and operated business since 1994 with over 50 years combined experience in the Denver appliance repair industry. We offer integrity, honesty and quality service at a fair price. We are very proud of the quality of our work, and we want to make sure your appliances run trouble-free for a very long time. At Al’s Appliance Sales & Service, we have made a commitment to provide the most reliable and dependable service and repairs to our customers in the Denver metro area while providing some of the most reasonable rates in the industry. 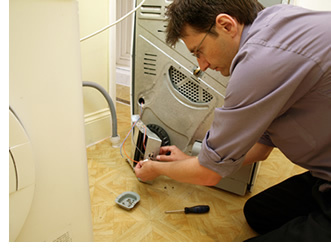 We provide fast repairs on all makes and models of household appliances. Licensed, insured, and with over 35 years of skillful appliance repairs, Al’s Appliance Sales & Service truly stands out from the rest. We offer the very best in friendly service and consider ourselves a company with standards superior to others and an environment where we strive to achieve the absolute best for our customers. So if you want unsurpassed service call us today!